When you’re looking for the perfect Keller TX Woman Self Defense, you know that this is one of the more important decisions that you’re going to have to make. Are you beginning to wonder where you’re going to find the right self-defense lessons and you’re ready to jump in? Perhaps you’ve been thinking about learning how to defend yourself and you want to level up your mind and body. If these are your goals but you don’t know how to reach them, Tiger-Rock Martial Arts of Keller TX is here to help. 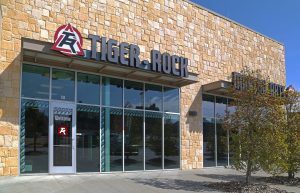 Tiger-Rock Martial Arts has been helping people just like you learn karate and self-defense since the year of 1983. That was when our brand first started, and our goal was to help local citizens increase their karate and martial arts skills. Today, we are the biggest martial arts franchise in all of America, and our reputation has grown tremendously since those years ago. However, our mission hasn’t changed, and we’re still here to provide our Keller TX citizens with quality self-defense courses. As a woman, you have every right to be able to protect yourself in the best way possible. You never know when a threat might appear out of nowhere, and you want to be ready for this at all times. Are you someone who frequently takes morning jogs in a park that’s not very well-lit? Perhaps you’re walking home from work on every single weeknight and you’re beginning to grow paranoid of your surroundings. These are signs of caution, and you shouldn’t feel like you’re beginning to show weakness or excessive paranoia. Instead, take it as a sign that it’s time to embrace empowerment and develop your self-defense skills. This is something that everybody should learn, and it truly can be life-saving. You never know when something or someone might approach you with the wrong intentions, and you’re going to want this skillset to be in your arsenal when the time arrives. If you’re ready to start working on your martial arts and self-defense skills, call us today for more information Our team of certified instructors have mastered Korean Taekwondo, and they’re ready to help you. With our staff around you’ll be able to reach your goals and achieve your dreams in the realm of karate. We pride ourselves on making sure our Keller TX Woman Self Defense classes are just what our students need. These are high intensity drills and exercises that really test your reaction time, physical skills, and your mental strength. We want our pupils to be able to get the reps they need to properly learn how to react in these types of situations. You never know when you might not have time to reason your way out of your situation or predicament. Do you want to make sure you’re prepared for whatever curveballs life throws at you? If so, develop your self-defense skill set today by joining Tiger-Rock Martial Arts in Keller TX. Are you someone at work who just isn’t vocal? Perhaps you prefer to stay in the shadow and backgrounds and work without many eyes watching. If so, have you ever asked yourself why you are like this? Is it because you prefer the background, or is it because you have yet to unleash the warrior within? Perhaps you doubt your abilities and your value to your team and you don’t want this mindset to persist. Maybe you even feel e you even have mental lapses and lacks of focus when it really counts for your coworkers. These are problems that can really get under our skin and make us feel hopeless, but we have solutions. If you’re ready to enhance your mental fortitude levels, we can help you. At Tiger-Rock, we’re able to provide our customers with top notch martial arts lessons that help their minds as well as their bodies. Did you know that self-defense skills are proven to give humans more confidence and self-assuredness? If you’re someone who needs a boost of confidence and belief in self, join a Keller TX dojo like ours. We can help you find the mental sharpness you’re looking for and work towards retaining it. 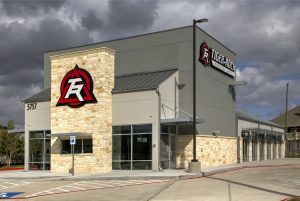 Are you worried you’ll have to sacrifice a key part of your life to be able to afford martial arts lessons in Keller TX? Perhaps you’re worried about not being able to pay the bills on time because you spent too much money on self defense lessons. At Tiger-Rock, we don’t believe that any woman should ever have to make this compromise. This is why we have accessible and affordable prices that make it easier for the common customer to afford our classes. If you’re trying to learn how to defend yourself without sacrificing your budget, TRMA is here to help you. When you have our Keller TX Woman Self Defense course at your disposal, you will never have to feel weak again. Our team is committed to providing you with top notch resources and programs that will give you the power and mental fortitude you need. Being safe is something that always has to be addressed. If you’re unsure of yourself when walking home at night, get that fixed right away. With our instructors alongside you, you’ll be able to develop invaluable skills that will give you the ability to defend yourself against unexpected danger. Call us today for more information. Keller, Texas is a small city within the Tarrant County of Texas. While we come from a rural background, today, we have over 40,000 residents who call Keller home. Our median income is one of the highest figures in the country. We pride ourselves on making sure our city is properly taken care of. If you’re interested in a nice mixture of urban and rural living, visit Keller today! Our community is ready to welcome you with open arms and a warm smile. Interested in learning more Keller TX Woman Self Defense? Ready to begin your transformation? Choose from one of our 20 locations across Texas to Get Started today.